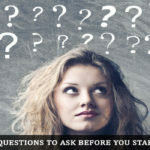 BloggingTips.Guru Blogging Is an Exact Match Domain Name a Good Idea? While such domain names no longer have the same impact as they once had, this is not what Google has been doing. Yes, there is less weighting given to such domains, but Google is not applying a penalty as such. Let’s face it, if your business is selling red widgets, then Google is not going to penalize you for using the domain name redwidgets.com. It is informative and tells the reader what your blog or website is about. An EMD is still a ranking parameter and can make a difference to your search engine results position. Your visitor can see immediately what your website is about. If somebody is looking for red widgets, and sees a URL containing the domain name RedWidgets, guess where he will go! You may be seen as the dominant site in your niche. Your brand will be the same as the main keyword for your product so easier for clients to remember. Exact match domains are more likely to be displayed on internet searches. When people use keywords they are also using your website name. Less chance of potential visitors misspelling your site. 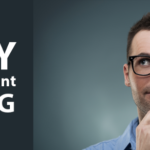 An EMD can cost more than a more general domain name. You might be lucky and find a good 2 or 3-word name for your site, but most have been snatched up and have to be purchased privately from its owner. Can confuse people between your brand and the keyword. Social media mentions can also be confusing: are they referring to your site or a keyword? They are limited to the major keywords for your product or service, so there are not many of them around that would suit your site. 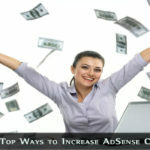 Finally, it limits the scope of your site to that niche and could limit the expansion of your brand in the future. People searching for blue widgets will not click on a red widget domain. If you are in a narrow niche, selling a specialist product or service, them an EMD might be ideal for you. 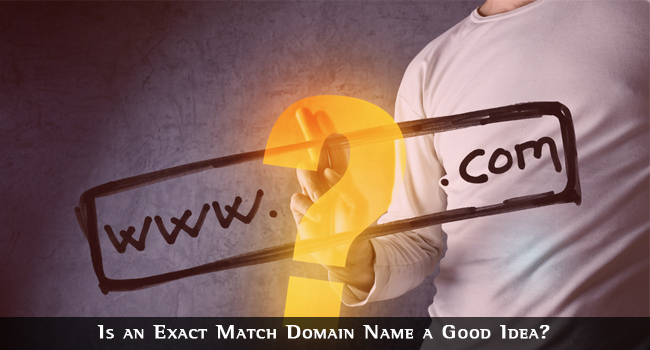 In fact, as you sell other specialist products, you might prefer to offer each one its own exact match domain. 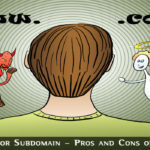 In some cases, you might even be able to use subdomains for this, so you would have no need to purchase an expensive domain name that somebody else already owns. Thus, redwigets.mydomain.com might work better for you in some cases than just mydomain.com. Then bluewidgets.mydomain.com and so on. There are pros and cons for using an EMD for your blog or website. One thing is clear however – Google does not penalize your site if you use one. Sure, its influence on your site’s rankings has been reduced somewhat, but it will still have an influence. If you create good content on your blog or website, have a good linking structure with quality backlinks and if you employ intelligent SEO principles to your site, then you can dominate your niche if you also have a domain name that is an exact match for the keywords used to find it. Its effectiveness might be becoming diluted, but an exact match domain is still a good idea and it cannot harm you.